Here are some tips for hosting a wine tasting party. You want your guests to have a great time, so a bit of preparation will put you and them in the right frame of mind. First, it will be helpful if you have wine tasting mats and logs where your guests can write wine tasting notes. 1. The Wine Tasting Kit will make your party very special. 2. Your guests will appreciate these fun and helpful tools. 3. The Kit will make your party planning a breeze. And most of all, your guests will see that you put a great deal of thought into this celebration. Be asured that we will not sell, share, or disclose your name or email address with anyone. 1. Prepare by having plenty of clean clear wine glasses. If you are tasting three wines, have three wine glasses per guest. 2. Prepare your home so that you will not have any candles or air fresheners that may interfere with the aroma of the wine. 4. When it comes to the wine, your best bet is to stick with either types of white wine, or types of red wine. 5. If you decide to have both, start with the white wines, and then move on to the red wines. 6. As far as the wine is concerned, there are two ways to go about this. Either you provide the wine, in which case you buy three	types of wine. If you are tasting white wines, buy bottles of Riesling, Sauvignon Blanc, and Chardonnay. If you are having a red wine tasting party, buy bottles of Pinot Noir, Syrah, and Cabernet Sauvignon. 7. An alternative is to have your friends bring their personal favorites. This may cut down on the cost, and it may make it interesting, but it also complicates matters a little bit, because you may end up with 6 bottles of Chardonnay, one bottle of Sauvignon Blanc, and no bottles of Riesling. As you can see, you will have a problem. 8. Always start with the lightest wine. With white wines, start with the Riesling, then the Sauvignon Blanc, and then the Chardonnay. 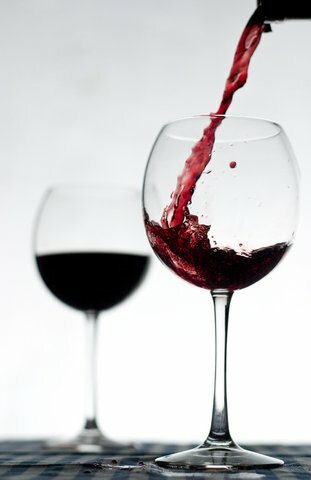 When tasting reds, start with the Pinot Noir, then follow with the Syrah, and finish with the Cabernet Sauvignon. 9. If you want to have a blind tasting, put each bottle in a brown bag and number it. 10. Have water and bland bread available for your guests, so that they can clear their palate between tasting. 11. Write down your impressions about each wine. Then have each person share their conclusions about each wine. A Tasting Party is a Great Way to Learn From One Another!